Taylor Widener does not have any MLB stats for the season. Draft: 2016, New York Yankees, 12th rd. Married to Paige...Traded to D-backs in 3-team trade with Rays and Yankees…LHP Anthony Banda, INF Nick Sloak and 2 players to be named later (RHP Sam McWilliams and LHP Colin Poche) to the Rays; INF Brandon Drury to the Yankees; OF Steven Souza Jr. to the D-backs (Feb. 20, 2018). Named organizational Minor League Pitcher of the Year, Southern League Pitcher of the Year and Baseball America's Double-A Pitcher of the Year after leading the SL with 176 strikeouts (second in MiLB), a .197 opponent average and a 1.03 WHIP and ranked second with a 2.75 ERA (42 ER in 137.1 IP)...Won the SL championship with Double-A Jackson...Earned SL midseason All-Star honors and named SL Pitcher of the Week for May 14-20...Was a non-roster invitee to Spring Training…traded to the D-backs in a 3-team trade (also: Rays and Yankees) on Feb. 20...Entered the season ranked as the D-backs' No. 4 prospect by MLB.com. Made 27 starts with Single-A Tampa, going 7-8 with a 3.39 ERA and a .206 opponent average...Ranked among Florida State League leaders in starts (1st), opponent average (1st), WHIP (1st, 1.15) and strikeouts-per-9.0 innings (1st, 9.73), strikeouts (3rd, 129) and ERA (4th)...Promoted to Double-A Trenton for the Eastern League playoffs and went 1-0 with a 3.00 ERA over 2 relief appearances (6.0 IP). April 4, 2019 RHP Taylor Widener assigned to Reno Aces. 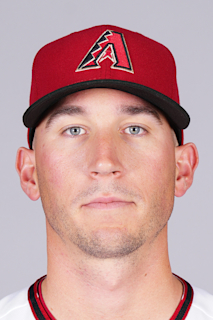 January 31, 2019 Arizona Diamondbacks invited non-roster RHP Taylor Widener to spring training. April 4, 2018 RHP Taylor Widener assigned to Jackson Generals from Reno Aces. February 20, 2018 Arizona Diamondbacks invited non-roster RHP Taylor Widener to spring training. February 20, 2018 RHP Taylor Widener assigned to Reno Aces. February 2, 2018 New York Yankees invited non-roster RHP Taylor Widener to spring training. September 5, 2017 RHP Taylor Widener assigned to Trenton Thunder from Tampa Yankees. July 30, 2016 RHP Taylor Widener assigned to Charleston RiverDogs from Staten Island Yankees. June 22, 2016 RHP Taylor Widener assigned to Staten Island Yankees. June 21, 2016 New York Yankees signed RHP Taylor Widener.